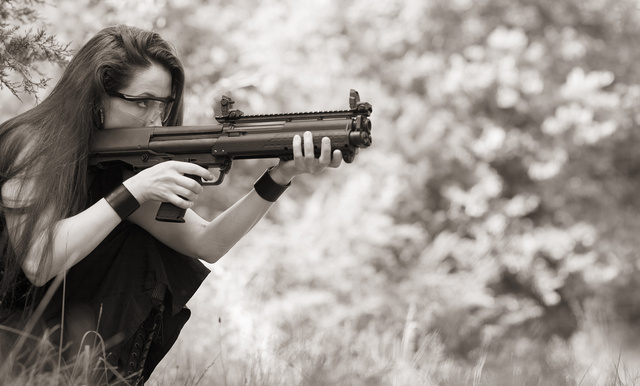 This entry was posted in interesting people, nature, shotgun, wordpress and tagged 12ga, bullpup, girl, keltec, KSG. Bookmark the permalink. If I ask her nicely do you think she’ll let me play with it? Can we see more of her? The shotgun, meh. It probably will never exist. Some fellas from Kel-Tec brought on of these shotties to a 3-gun match here. Lots of issues. I brought one of these to Lucky Gunner shoot. Extraction issues with roll-crimped S&B, no problems with any other ammo. This gun probably had 700 rounds total through it by now. Yes, they had several extraction issues. There were also problems with the tube selector, from what I understand.